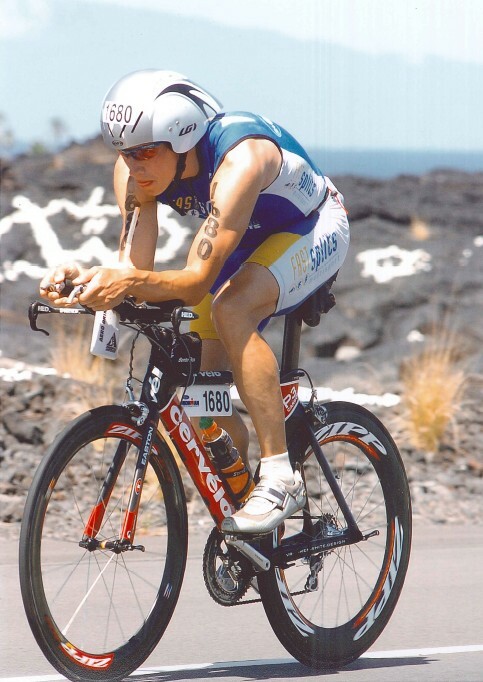 I’m again very, very impressed with QT2 athlete performance this past weekend at IM LP. From 1st time performances from our iron rookies to coach Cait winning the professional race and Coach Tim’s top 10 overall, I am literally flabbergasted at the level of achievement our athletes have achieved and how well they have adapted to executing a plan. More on coach Cait’s performance and my own to come later…. With all the hype surrounding this race I really wanted to do well and get through the day strongly by racing conservatively. Race week went well as I executed my typical nutrition plan leading into race day and a few light workouts on the Big Island. Race morning came and I was up at 3:30 to eat what seemed like 3 gallons of unsweetened apple sauce among other things. Swim:I lined up about 5 rows back from the front figuring at least 400 people (5 rows back times 80 across is about 400) would out swim me at the world championships. After 15 minutes of treading water without a wetsuit, the cannon went off and all hell broke loose. This swim was as crowded if not worse than the other IMs I have done. However, the visibility was unbelievable complete with tropical fish, corral, etc… My thoughts of about 400+ folks ahead of me proved to be true as I exited the water in 1:06:35, 595 place. 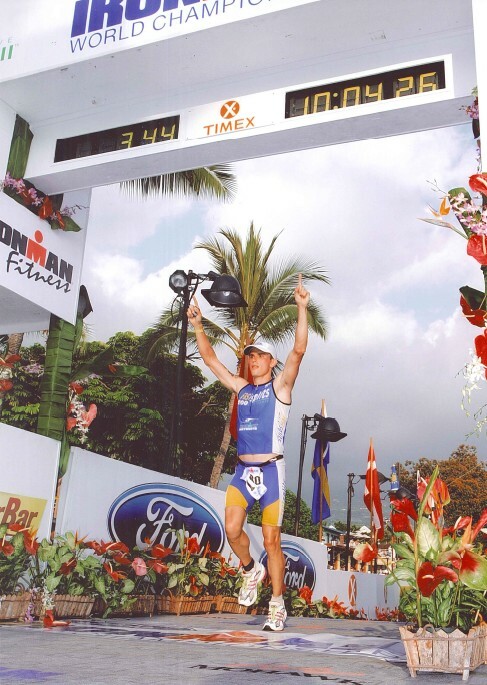 Bike:After a carefully executed transition (even waited on line to get sunscreen), I was off on the bike duking it out with at least 500+ other athletes on the Queen K. Early on I held back considerably and as usual had racer after racer pass me. As the ride continued up to Hawi, I began reeling people in slowly as I increased my perceived effort. The climb up to the turn around was brutal with a heavy head wind and scorching heat. Throughout the ride I was drinking more than I normally do but without the normal peeing. Based on this, I knew it must be ridiculously hot and figured most people would not drink enough and then fall apart later in the day…this proved to be true. The ride back from the turn around had a head wind the whole stretch through the lava fields and made it difficult to make up much time. After averaging 20.2 up to the turn around, I arrived at T2 in 5:26:10, 503rd bike split, and 536th overall which was about 20 minutes slower than I would have liked, but given the conditions was probably the best I could muster and still run a solid marathon. Run:Ate a banana and a gel right out of transition and was off running. First few miles came through at 7:15 which was where I wanted to be at that point in the run. Solid IM runs are typically executed with a drift in pace no more than 40-50 second per mile from the start to finish. Therefore, based on my first mile, I would try to run no miles slower than 7:55 all day. The run was tough with hot sun and zero shade. The fact that most people hadn’t drank enough, and paced too hard on the bike began to show with more and more walkers as the run went on. 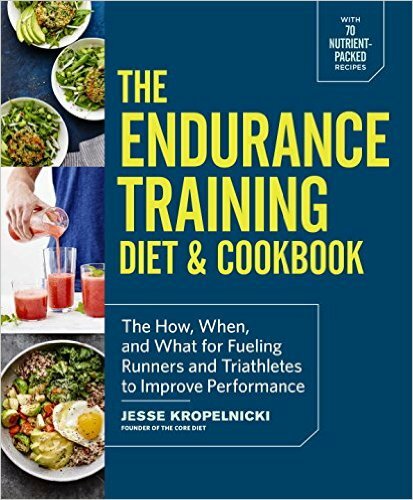 This was surprising to me as you would think that the best in the world would have paced and nutritioned correctly throughout the day….not true. After the turn around in the energy lab, I was struggling to hold my 7:55 pace but managed to do so and passed a couple of hundred walkers along the way. The last 10K I really tried to pick it up but probably only succeeded in the last 1/2 mile as the crowds picked up and I made the turn onto Alii Drive! No other feeling like that in triathlon racing. Total run time was 3:22:52, 248th run split, and 346th overall. All in all, I was happy how the race came together and how I executed it without a glitch. I’m looking forward to giving it a shot again next year (hopefully) and being a little more aggressive. What an amazing opportunity!! Thanks to everyone who sent me emails before and after the race. Also, thanks to all of those who have to deal with me on a daily basis in order to provide me this opportunity. Especially my wife Chrissie…without her help and understanding, it would be impossible.